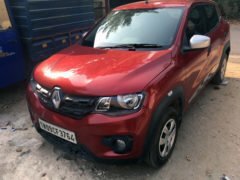 The Renault Kwid 1.0 MT RXT Optional, which entered our long-term fleet in September last year, has turned out to be a fairly pleasant companion during the 3,500-odd kms it has so far spent with CarblogIndia. 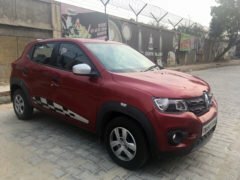 Yes, while a small hatchback that’s powered by a 67 hp, 1.0-litre three-cylinder motor might seem as exciting as a pair of soggy socks, this top-spec Kwid MT, blessed with a high ground clearance, sufficiently frugal engine, and a powerful HVAC system has been quite a practical intracity runabout. 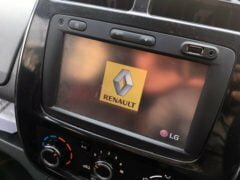 As you must have figured out, our test vehicle comes in the top-of-the-line RXT(O) trim, which means it’s kitted out with a touchscreen infotainment system, driver’s side airbag, and chrome accents around the aircon vents. 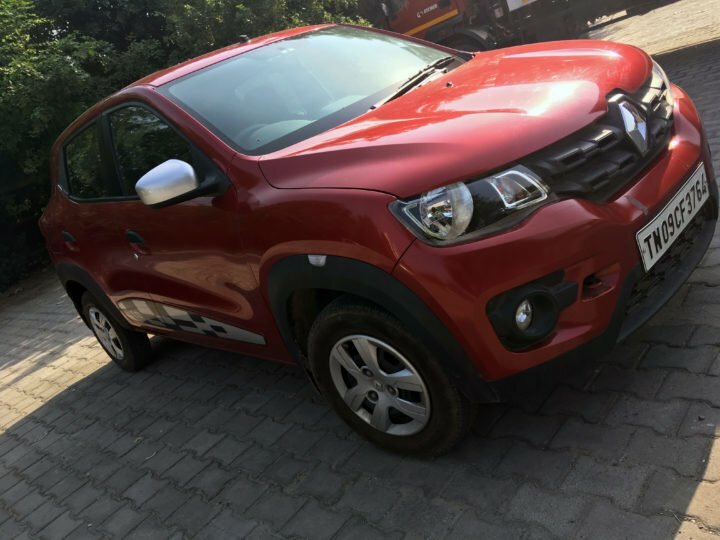 True, the Kwid is not a head-turner, no, far from it, but the fully-loaded model does look premium enough to be referred to as the ‘baby Duster’. The Kwid offers a stylish and a sufficiently premium cabin for an entry-level model. 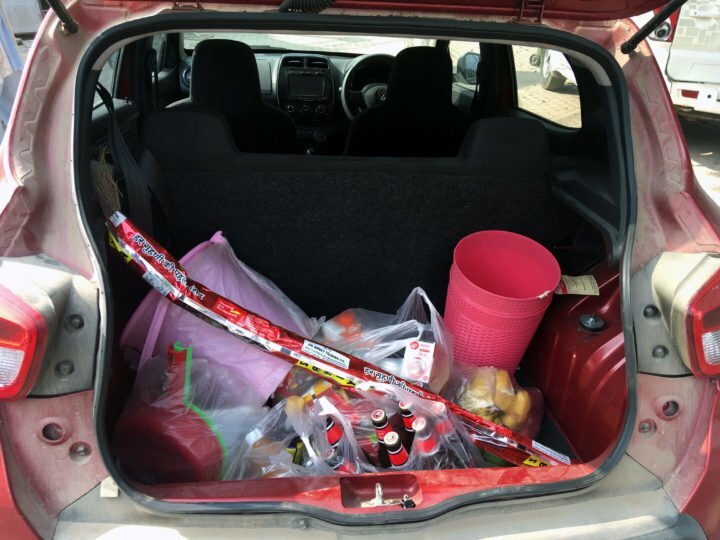 Space is one of the strong points of this car; there’s enough space to gobble up an entire month of groceries or the luggage for a quick weekend getaway. The 300-litre boot puts cars costing twice as much to shame. It scores high on practicality with those twin gloveboxes and plenty of storage spaces all around. The front occupants enjoy a decent legspace and shoulder-room. The only grouse here is a slight lack of legspace for the rear occupants. Bits like the touchscreen infotainment system and the digital speedo jazz up things a fair bit. The Kwid 1.0 MT, during the five months that it has been with us, has shown surprising variations in its fuel efficiency. While we have managed to extract over 19 kmpl with a very light foot, the figure dropped to below 14 kmpl under hard driving. Yes, this car can get pretty thirsty when driven with a heavy foot. Also, the dashboard has developed some rattles. Finally, the NVH levels are on the higher side, with engine noise and vibrations easily filtering into the cabin. Furthermore, there’s no ABS on offer. 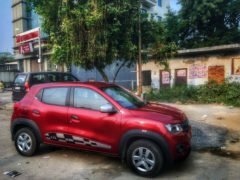 Coming back to the positives, the Kwid 1.0 MT offers a decent ride for a car of its size and price. Even the steering wheel, while devoid of much feedback, is fairly direct. 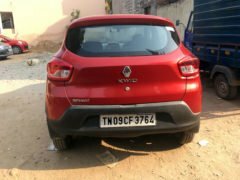 Overall, the Renault Kwid 1.0 MT possesses a simplicity that is often reminiscent of the Maruti 800, but at the same time, it has all the virtues of a modern-day, world-class entry-level hatchback. A few niggles apart, this car has a lot going for it.